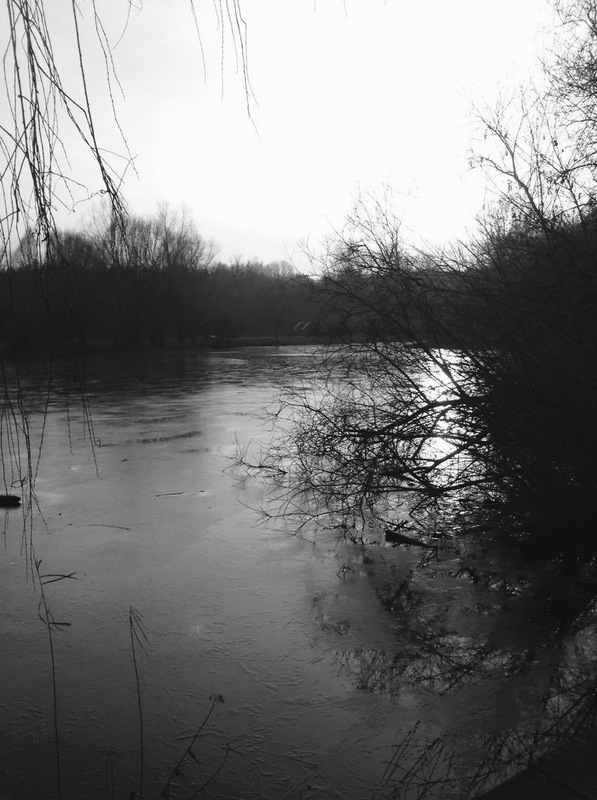 Writing and Photography by Ruby-Jaye Wood, BA Fine Art. Hey, I’m Ruby-Jaye, second year Fine Art student from South East London! Coming from a big city I wondered what it would be like to live in a smaller city, and wondered if I would find myself looking for things to do, but honestly, two years in and I am still discovering new creative spaces, coffee shops and places to explore. I’m here to share with you the spaces in Norwich and at Norwich University of the Arts, that inspire my creativity and practice. This arty bar holds a range of weekly creative events from poetry collective nights, open mic and comedy nights, to life drawing classes; offering something for everyone and making it the exciting and creative bar it is. 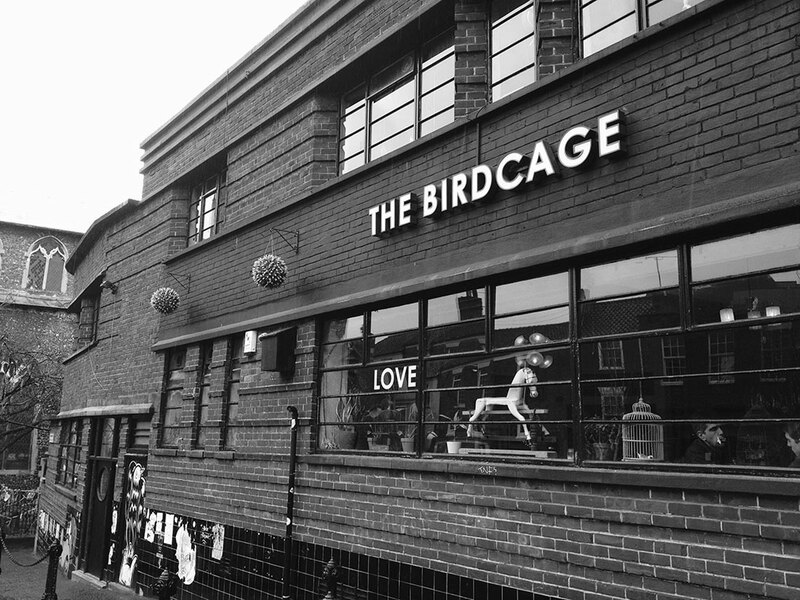 Whether its coffee and cupcakes or cocktails and cabaret you’re after, The Birdcage has always something fun to offer. 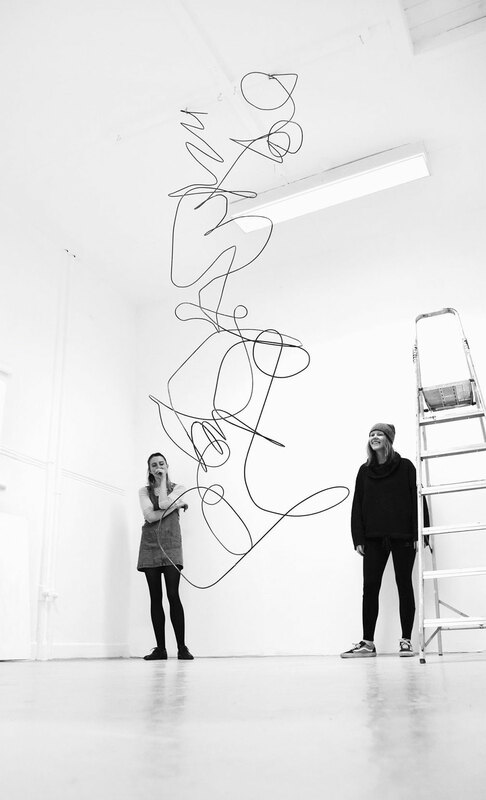 So being an Art and Design university after all, NUA has several project spaces which students can book and install their own exhibitions; solo or collaborative. You can also promote your exhibition around the university and hold private views which is a great opportunity and experience especially to build your confidence as an artist. Whether you need some downtime from the pressures of uni work or if you’re after just after a bit of fresh air, the nearby Wildlife Trails are perfect. Only a 15-minute bus journey from the city centre, you will find acres of greenery and woodland, lovely for weekend walks and summer picnics with friends. A plus also being that the nearby Sainsbury Centre for Visual Arts is free to all NUA students and holds a range of workshops for young people and artists as well as having a collection of permanent and temporary pop-up exhibitions. 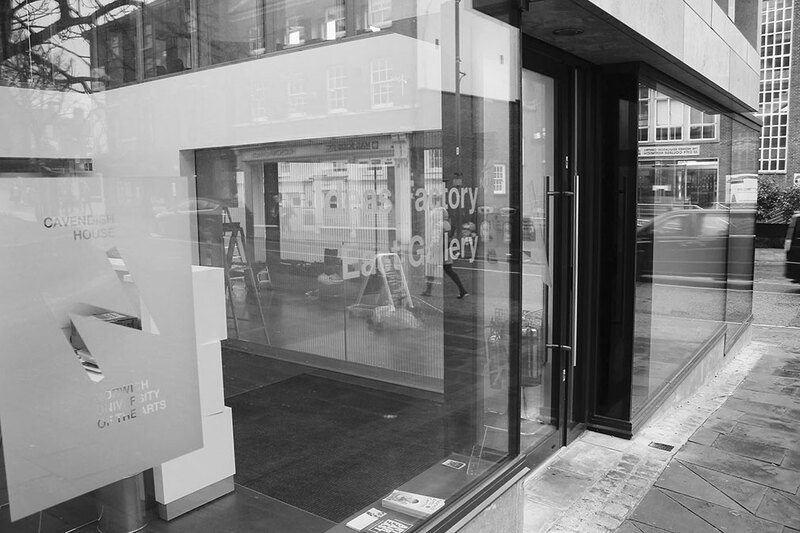 NUA’s own East GalleryNUA is a large open gallery space with even larger windows allowing passers-by to peer through and have a cheeky glance at some of the coolest contemporary exhibitions in Norwich’s city centre. 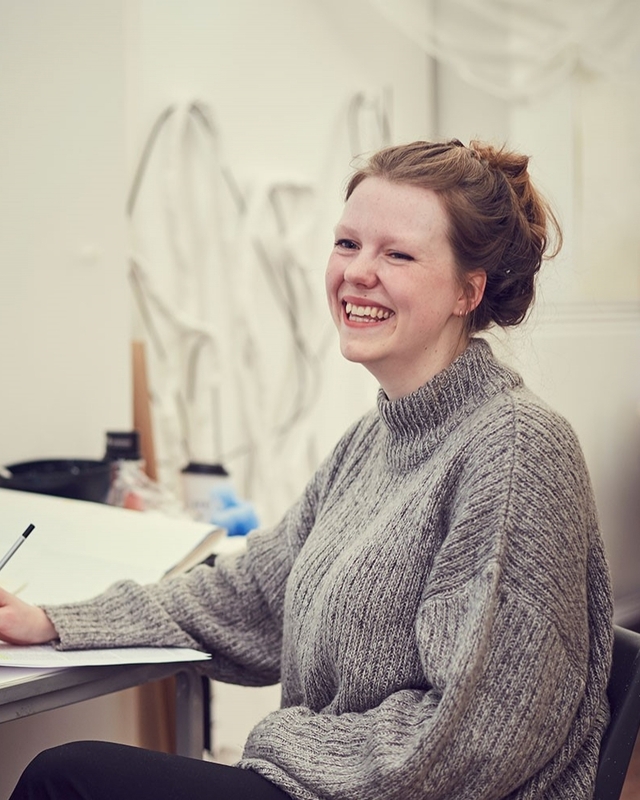 East GalleryNUA also provides beneficial experience and opportunities for NUA students to work as gallery assistants which is pretty awesome, as well as holding artist talks that give you an insight to what it’s like to be an artist in today’s art world. 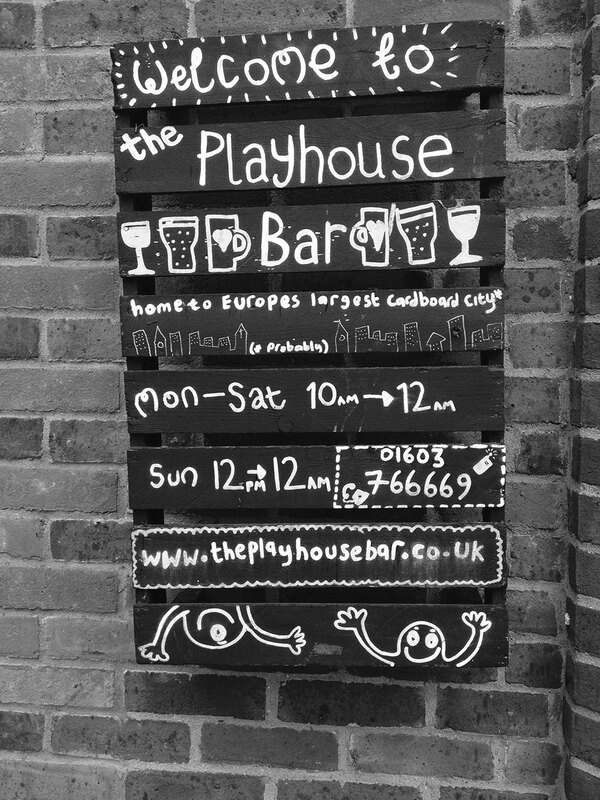 The Playhouse Bar (located in the Playhouse Theatre) is centred in the middle of St Georges Street making it the place to go to reload on your caffeine fix in between lectures. With a super cosy courtyard covered in bunting and fairy lights, it’s the perfect place to relax with your sketchbook and catch up with friends. With its chilled atmosphere, The Playhouse is a great creative space with its funky ceiling (you will just have to go and check it) both day and night. They are also really enthusiastic about displaying local artwork and hold regular exhibitions and events so make sure you stay updated with them via social media. Norwich does not stop at those spaces, there are so many lovely independent stores and charity shops that really capture this arty scene of a city. My favourite is St Gregory’s Antiques and Collectables, a redundant 14th Century Medieval church that is now home to some of the coolest stuff ever, from old school Raleigh Choppers, 80s style pop leggings, to tea sets and retro furniture. "NUA is surrounded by this warm creative atmosphere that is filled with quirky bars, shops, galleries and spaces fitting every mood and style."